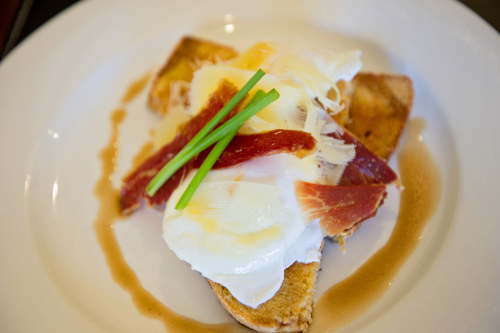 Breakfast is included in all our tariffs. At The Beach House at Bayside this is NOT a secondary part of the experience - in fact many of our guests from around the world rate the fresh generosity of the Beach House breakfast as a highlight of their trip. We focus on using the best local produce where ever possible, and our buffet consists of a vast range of seasonal or preserved fruits and accompaniments. 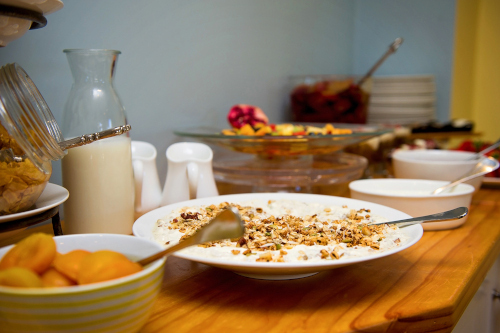 Our Beach House Bircher muesli has our guests wanting the recipe! This is not your average hotel bircher ... think macadmias, pecans, LSA, sunflower seeds, pepitas, along with the traditional oats and then light puffy wheat all hand toasted with a touch of swet maple syrup! Special! After enjoying the buffet we'll serve you a cafe style hot breakfast - cooked to your order - from kitchen to table in 30 seconds! 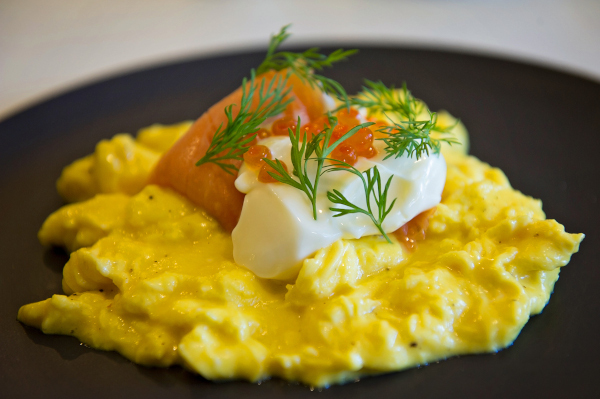 Gorgeous bright yellow local free range eggs scrambled with love ... poached the way you like them ... delicious! Of course we are also pleased to cater for your special requests. Please let us know if you have any allergies and intolerances - we'll make sure there are plenty of alternatives available to meet your needs.